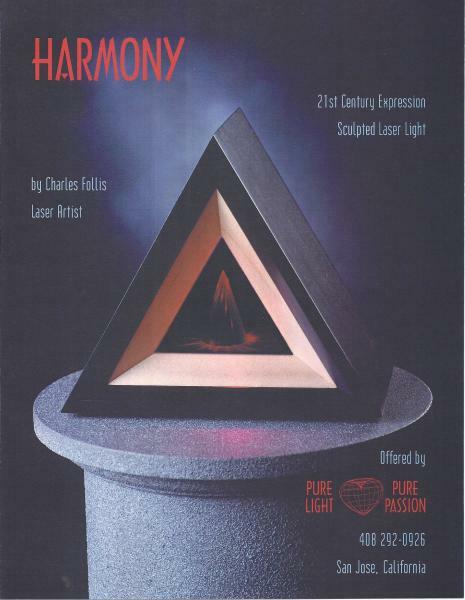 The challenge was to get a laser to shine onto a cone. ​But inside a triangle of wood. ​I used a bunch of plywood to figure out how to size and make the cuts for this thing. Measuring twice and cut once is great but, this took some creative cutting. The photo on the right is my prototype. ​Now I need to take it apart get a laser inside this thing and shine down in the middle. With a bunch more emaginerring we figured it out. But then we added a crystal inside to break up the beam and give us the starburst effect. The Display Idea came from Charlie Follis. After it was done I thought .... he wanted it to have an Ebony piano type finish. That turned out to be quite a challange. On the right is the results. Here is laser Charlie with another (idea) display we are going to work on. ​This is going to be a major adventure. ​At the end of the work bench is a black acrylic box. That box idea has created a couple other displays. In the photo on the right is a acrylic box that has the strings in it. This is another display we are working on. Also in the photo is my Harmony protypes. ​Movin' on to the big display, the photo below is the inside case where all the action is. Lasers, mirrors, power supplies, and all sorts of other stuff are going in here. All this "stuff"s needed to make the display Laser Charlie has named: "Spectral Sonnet"​. The photo below shows the results of all the work that has been done to create the Display. 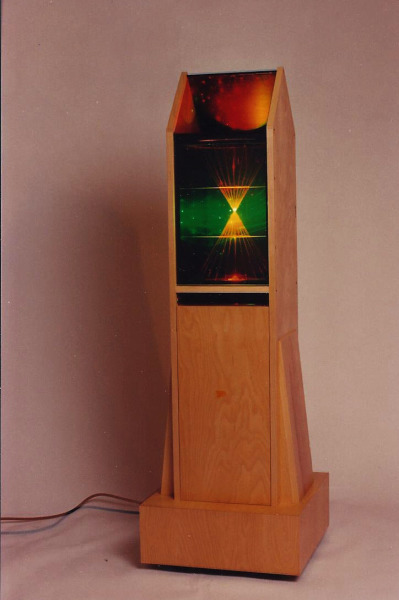 ​The two cones in the middle of this display unit below show the laser beem on the strings. in the backround of the box is a different laser pattern that is in motion. Another laser display can be seen at the top and that laser display can be projected to a celing or wall as needed. Back to the real world, the beam we use comes from a laser diode. 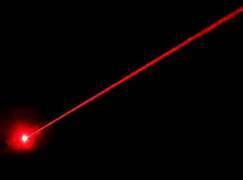 The laser pointers we all have produce a beam from a laser diode. 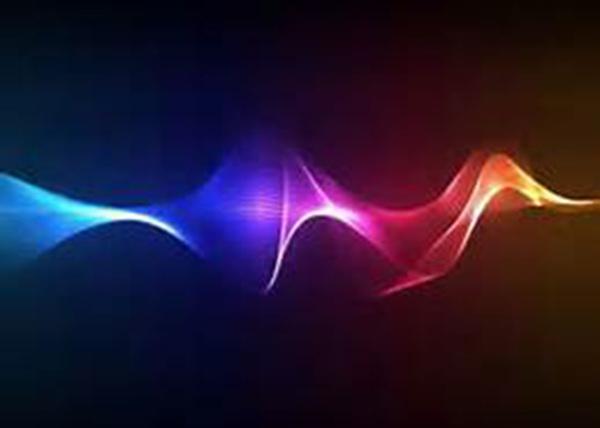 The diode we use is much more expensive, because of the power and the colors we use. Our basic colors at the end of 2017 are, Red, Green, and Blue. 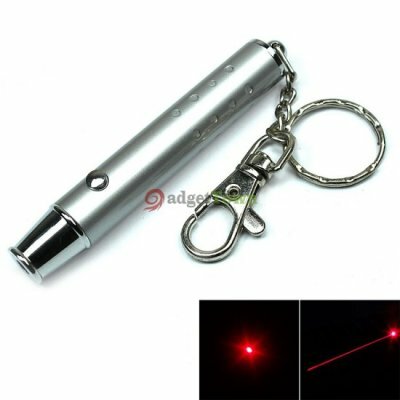 In the photo below is an example of one of the laser pointers. I have seen these at the flea market for (seventy five cents) $.75. I have even played around with them and have taken them apart to get to the Diode. But they do not have enough power to do what we need. They also can not stay on as long as we need. 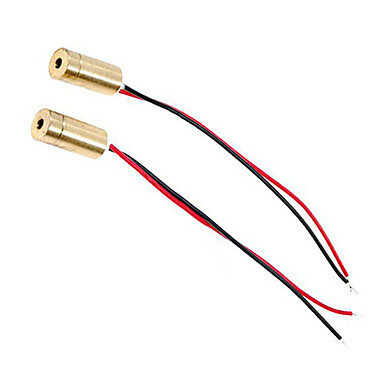 The image on the right is a couple of the laser diodes we use in some of our projects. The beam it will produce is in the far right photo. More power, and brighter.